Easy to install Pre-Fab Sauna Kits save time and money, with easy to follow instructions! Find out about the Health Benefits of Sauna. Get the true sauna facts! 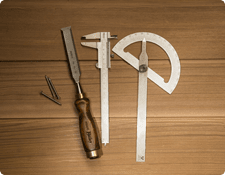 View our image gallery or watch our videos to help better understand our products. Only the finest Western Red Cedar is used. We only buy cedar from mills that have been approved for "Sustainable Forestry Initiative". This ensures we protect our forests for generations to come! 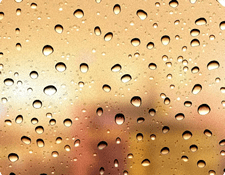 All saunas are wet or dry! The difference is simply whether you as the bather adds water to the rocks. Some people like there saunas wet and some dry. The health benefits of saunas have been documented for the last 2000 years, including detoxification, increase blood circulation, healthier skin pores and an overall feeling of well-being and relaxation. Original Finnish sauna was multipurpose. It was used to bathe, for social enjoyment, to cure the sick and women even gave birth in saunas. There are more saunas in Finland than there are cars! Western Red Cedar is the ideal wood for saunas construction. 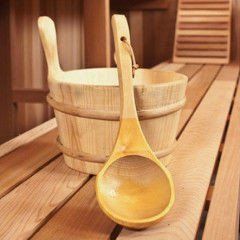 Cedar is a soft wood and will not heat up like other woods during a sauna bath. Cedar contains natural oils that make it highly resilient to decay and resists mildew. "Vihta" - a Finnish term for a sauna whisk. This wisk was traditionally made from Birch branches. The Vihta is used as a fan to move the air within the sauna. Sauna bathers also use the Vihta to lightly 'whip' ones skin surface. This forces the heat further into the body and also stimulates the skin surface increasing blood flow. Not only does sweating increase cardiovascular circulation, but did you also know that sweating assists the kidneys in removing dangerous toxins by up to 30%. 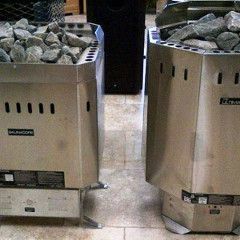 Traditional Electric heaters use special sauna rocks to store the latent heat energy. If water is added to the rocks, steam immediately fills the room (for a short time). This added humidity quickly opens the skins pores and provides a deep cleansing of both the skin and the soul. Studies have shown that Sauna Rooms, like Kitchens and Bathrooms, increase the value of your home. Wood fired heater is the choice for those who like it hot and lots of steam. 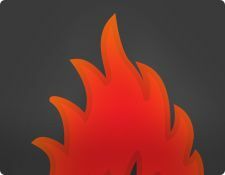 The wood fired heater heats up in nearly the same time as an electric heater, but because of its large volume of rocks, it has a much larger heat storage capacity. A must for anyone with a cottage! The word "SAUNA" is pronounced "sow nah". It is the only Finnish word that is found in the English dictionary; it translates to "bath" or "bathhouse". The sauna is the way of life in Finland where it originated over 2000 years ago. Loyly is a Finnish word that defines the steam that is created when pouring water on rocks to rapidly increase the humidity and the perceived temperature. 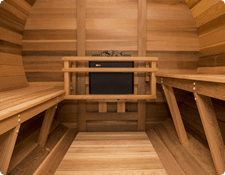 Northern Lights Cedar Saunas manufacture the finest outdoor barrel saunas and indoor sauna kits. 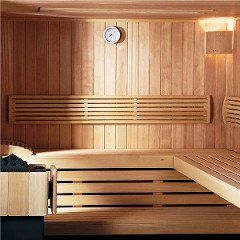 Each sauna is hand crafted using the finest Western Red Cedar. 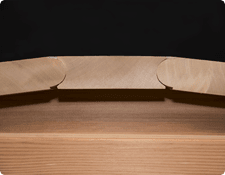 Our unique stave design for our barrel saunas ensure a water tight seal so that no roof or covering is needed. We use only the finest components including clear Grade “A” western red cedar, stainless steel straps and fasteners, and offer sauna heating systemusing electric or wood fired options as well as our popular hybrid sauna heating systemthat utilized both traditional sauna heating technology as well as infrared sauna heating technology. Our outdoor barrel saunas and indoor cedar sauna rooms come in a simple Pre-Fab Sauna kits, that is simple to install even by the “Not so Handy”! Most saunas can be installed in under a day with minimal or no carpentry experience. 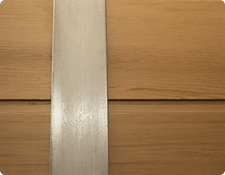 Visit our Sauna Installation Guide. We export globally so please give us a call any time 1-800-759-8990! This sauna was inspired by our large commercial sauna and features a full change room with seating of 10 or more. 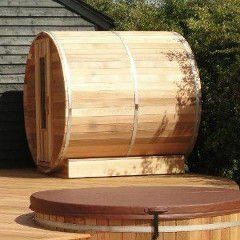 The 12’long by 7’ diameter barrel sauna is the largest of its kind and made from 100% clear Western Red Cedar. Northern Lights is awarded best of Class for 3rd consecutive year as a sauna manufacturer. New Jersey top Retreat and Day Spa offer Northern Barrel Saunas. Canada’s premier Nordik Spa offers large custom barrel saunas. Our saunas are designed for your comfort. That is why the diameter of our outdoor sauna is over 83 inches. 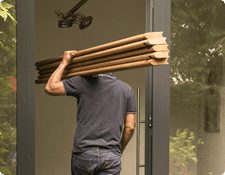 All parts fit through a regular door way enabling you to install your sauna just about anywhere. Wether in an enclosed backyard, on a roof terrace, on a moutain top, or other hard to reach place,... you will not need a crane! Hey Dan, Just converted my spare closet into a sauna room. The carbon fiber infrared sauna panel work great. We had a small room and used 4 panels. I put in a nice little cedar bench to give it some sauna flavor. My wife loves it too. It was a great Xmas present and we will get lots of use. I will send you some pictures next week.Thanks for all your help. Thanks Dan,We are really pleased with your service. Everything is working AAAAAAOK.Have recommended your company to all our friends who have saunas. 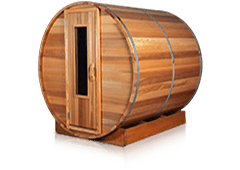 We have had your barrel sauna for 5 years now, and I just want to say want an awesome product you make! We have the wood fired stove and the sauna is at our lake. I can't tell you how many times we have had the neighbors over with their towels in hand. It is a true show piece. Great service guys! Dieter your engineer was particularly helpful! I recommend you to every Sauna owner. Hi Tim just sent you some awesome picture of the kids in the sauna over X-Mas. Thanks for the all the help and the great product. I use the sauna daily and can't imaging life without. We just completed installing one of your DIY sauna kits in a 6' x 7' location in our basement. My wife is from Finland and for years has wanted a sauna in our home. I must say I was a little reluctant as I am not the best with a hammer. However, we had the sauna room completed in 2 days including wiring. Your company was a pleasure to work with and I rate you highly! I don't often write reviews but in this case Northern Lights Cedar Saunas deserves one! The product is top class but the sales and service are just as impressive. These guys know what they are doing! I Recommend! Hi Northern Lights it's Aubrey from Australia. 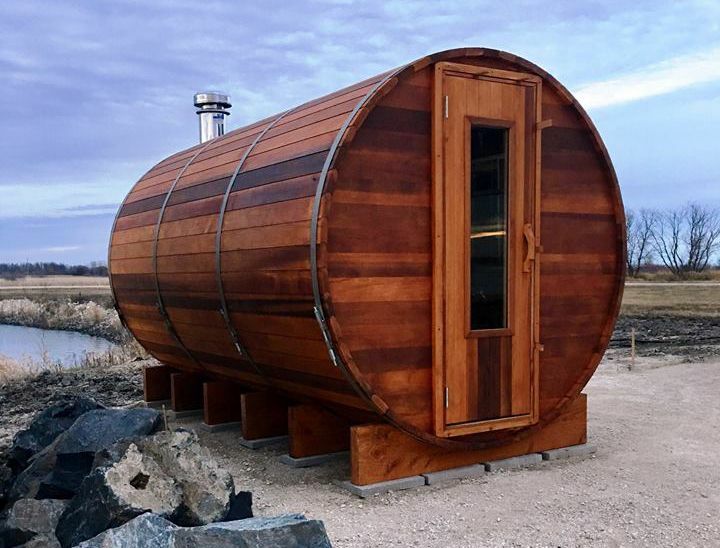 We bought our barrel sauna a year ago and you shipped it to the other side of the world. It arrived perfectly and went together in a day. I was so impressed with the product that my husband and I just placed an order for one of your wooden hot tubs. We can't wait until it arrives and will be sending you pictures of both as we have a great location that over looks the sea! Hi Dan, Just letting you know we love our sauna. We also were very surprised when you sent us an email with great little sauna gifts from your online store. We bought two buckets and back rests as well as the sauna timer. You guys should advertise this more as all sauna owners need these accessories! Hi Tim I just want to share a quick story for you. 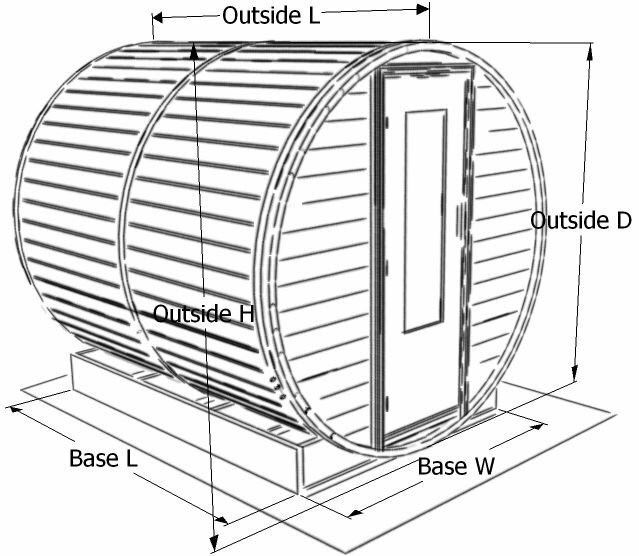 I started to research barrel saunas for almost a year. I loved your product but in the end made the mistake of cheeping out and buying a Costco barrel sauna for $1500 less. We got it delivered and started to assemble it, both my wife and I were not impressed. Needless to say thank God for Costco's great return policy! After 1/2 a day of assembling we realized we made a BIG mistake and packed it up and shipped it back. But you know the rest of the story and we are now proud owner's of a Northern Lights Barrels Sauna! My only advise to someone looking for a sauna is "you pay for what you get!" Tim please feel fee to publish my store on your website if you want.